In June 1967 Jordan took part in the Arab-Israeli war that ended in sweeping Israeli victories and Jordan’s loss of the West Bank (see also for in depth information the June War of 1967 in Arab-Israeli Wars). The Arab defeat convinced the Palestinians that they could not rely on the Arab states to regain their usurped rights. In defiance of Jordanian policy, Palestinian guerrillas mounted attacks into Israel and the occupied West Bank, prompting bloody reprisal raids, and by the late 1960s the Palestine Liberation Organization (PLO), headed by Yasser Arafat, had established a ‘state-within-a-state’ in the kingdom. For King Hussein, the final straw came in September 1970, when the leftist Popular Front for the Liberation of Palestine (PFLP) hijacked three Western aircraft to Dawson’s Field, an airstrip near Zarqa. 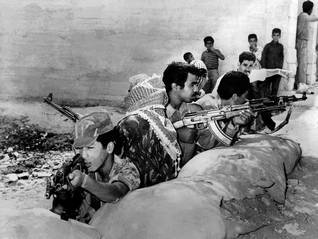 On 15 September Palestinian guerrillas took over Irbid and installed a ‘people’s government’. 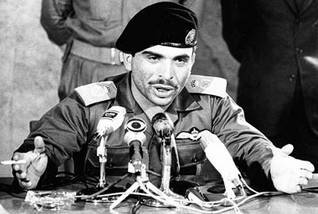 King Hussein declared military rule, and on 17 September the Arab Legion attacked the Palestinians in Amman. Fierce fighting in the capital quickly spread to other towns. Three days later a Syrian armoured column entered Jordan in support of the guerrillas but was beaten back. By mid-July 1971, after bloody battles, the Palestinians had been crushed.